In 2013, Amazon will start to boost Kindle Editions. - It works! 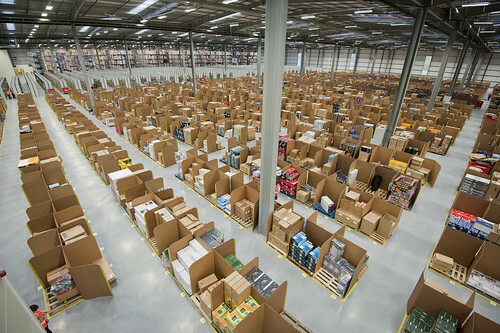 In 2013, Amazon will start to boost Kindle Editions. This is the story that is to be about a market of books, especially in US whose digital books' significant quantities exceed their traditional paper-prints'. The following sentence is nothing except for my backstage remark. 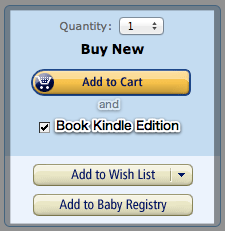 Amazon will start the booking service for Kindle aimed at books not provided as Kindle Edition. You can book it at the same time you purchase a printed one. Don't worry, never get charged until it's all set. Only when Kindle Edition is ready, you automatically can get and read it you reserved (optionally can choose whether you buy it or not when it's ready). Yes, i.e. "Bait publishers by the golden eggs".